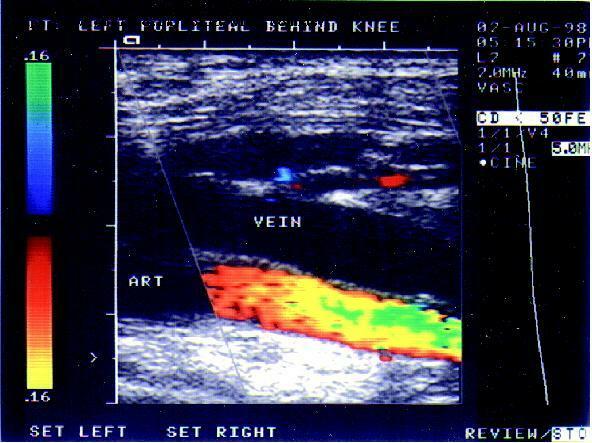 "Review of duplex and colour Doppler imaging of lower-limb arteries and veins" by Dr. Michael John Lunt. Courtesy of Dr Marian Muste, IIHR - Hydroscience & Engineering, University of Iowa. Copyrighted by the Tissue Viability Society. Provided by the World Wide Wounds. The Fluids Laboratory is an integrated learning environment developed by IIHR-Hydroscience & Engineeringfor the College of Engineering of The University of Iowa.